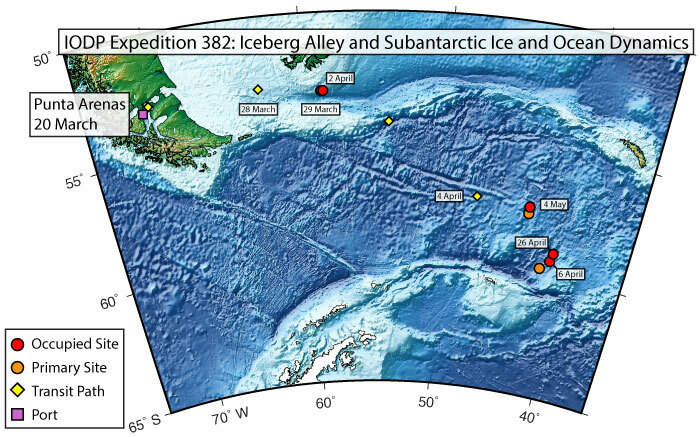 The International Ocean Discovery Program (IODP) is an international research collaboration that coordinates seagoing expeditions to study the history of the Earth recorded in sediments and rocks beneath the ocean floor. The JOIDES Resolution Science Operator (JRSO) operates the scientific drillship JOIDES Resolution on behalf of the National Science Foundation. We are committed to exceeding the expectations of the scientific ocean drilling community by maximizing the science the JOIDES Resolution delivers.